In 2011 Leonhard Dering was accepted in the Piano-Masterclass of Lev Natochenny at Frankfurt University of Music and Performing Arts. Born in 1991 in Tomsk (Siberia) in a family with German roots, he has been living in Germany since 1993. From the age of 6 on he received piano lessons by the concert pianist Prof. Alla Schatz, a graduate of the Moscow Neuhaus-class. Leonard Dering gave his debut as pianist at the age of 12 with a solo concert during the International Youth Music Festival of Rodachtal, one year later he gave his debut with orchestra at that festival with Grieg’s piano concert, accompanied by the Student-Orchestra Prague. 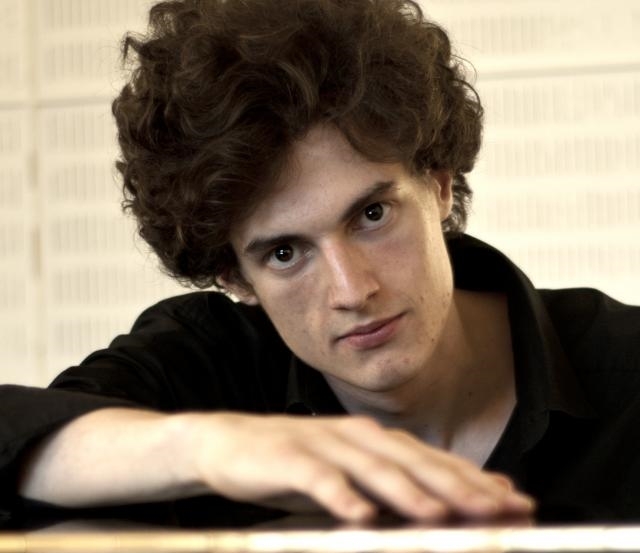 Since then he has appeared in numerous concerts in Germany, France, Czech Republic, Austria, Ukraine and Russia, playing as soloist, as chamber musician and together with many orchestras. Leonard Dering is a winner of the music competition “Jugend Musiziert” on national level and was distinguished with the Advancement Award of the City of Coburg for Young Artists. Leonard Dering holds a scholarship of the “Johann Strauss Society“ of Germany and of the “International Lyceum Club”. He received valuable artistic ideas and interpretative guidance through the work with Lev Natochenny, Alla Schatz, Eugen Wangler, Helmut Deutsch, Arnulf von Arnim and Daniel Pollack. Recently Leonhard played Rachmaninov’s Second Piano Concerto in the Ukraine with the Philharmonic Orchestra Tshernigow and in Germany with the Young Symphony Orchestra Berlin. In January 2015 he gave a concert-tour through Russia and played in St. Petersburg, Moscow, Tomsk and Irkutsk.